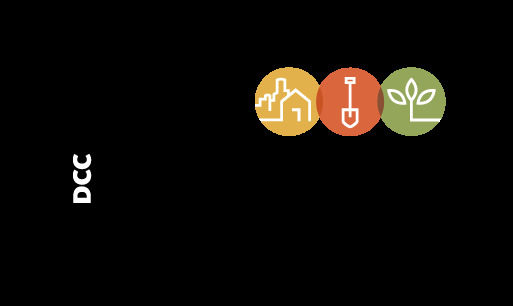 Learn more about The Greening's Workforce Development below. In some Detroit neighborhoods, the unemployment rate is well above the national average. 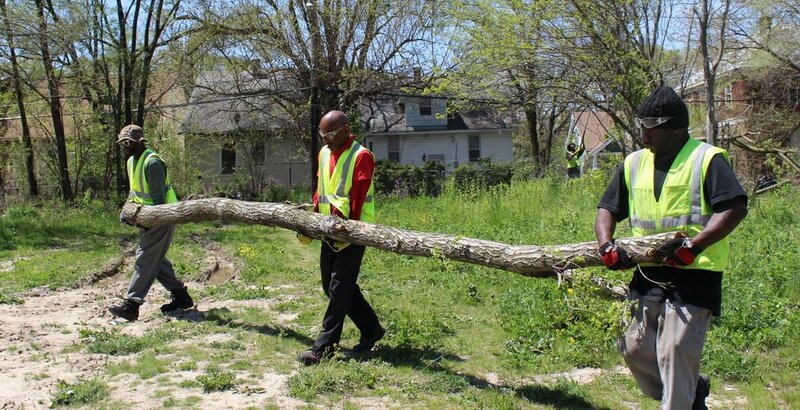 We are trying to change that by providing unemployed Detroiters with valuable job training and certification in the green industry. Detroit’s real transformation will happen when its residents can find work that pays a living wage. 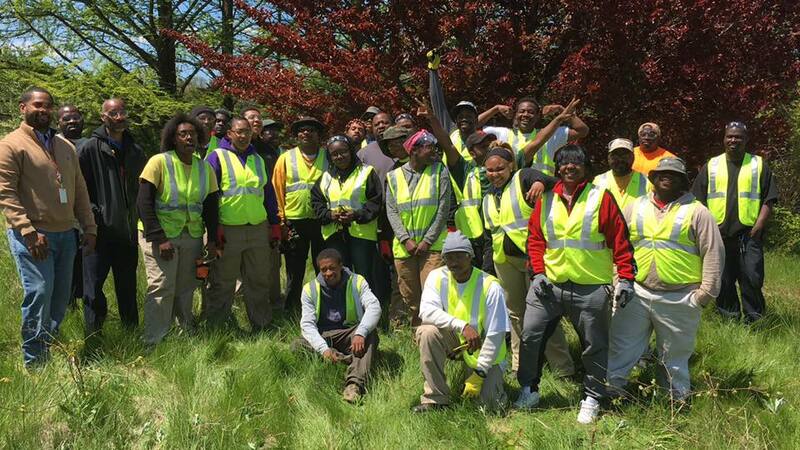 More than 350 Detroiters graduated from The Greening’s adult workforce training cohort since its inception five years ago. In 2015, the program became certified as a federal apprenticeship program through the U.S. Department of Labor. 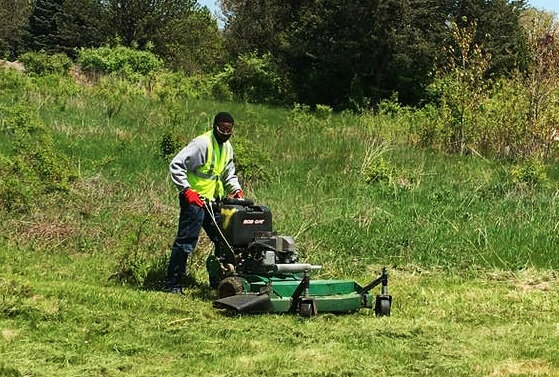 The Greening expanded its workforce training program in 2016 to meet the growing demand for green services. 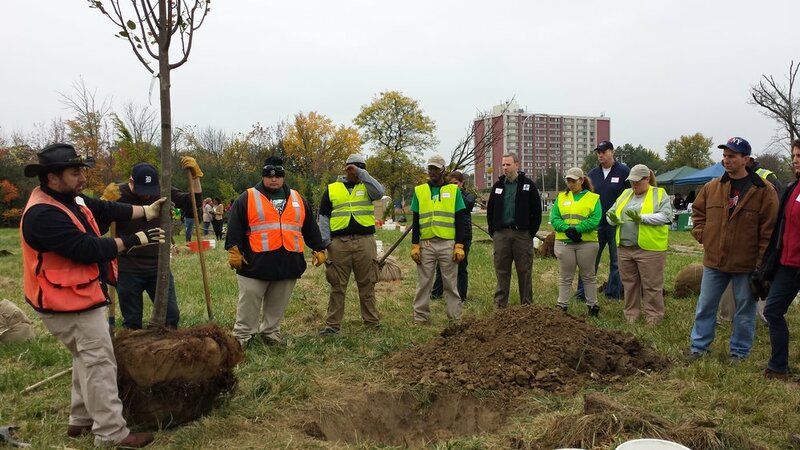 The Detroit Conservation Corps (DCC) is a partnership with Focus:HOPE and Neighborhood Services Organization, and is expected to eventually train more than 2,500 Detroiters in the skilled trades of landscape technicians, tree artisans, floral decor, urban agriculture, landscape construction, and urban forestry.